USE ICE CUBES OR BLOCK ICE NO LARGER THAN 3" TO 4". THE LARGER THE PIECES, THE BETTER THE SNOW. THE ICE WILL NOT ENTER THE SHAVING CHUTE IF THE PIECES ARE TOO LARGE. 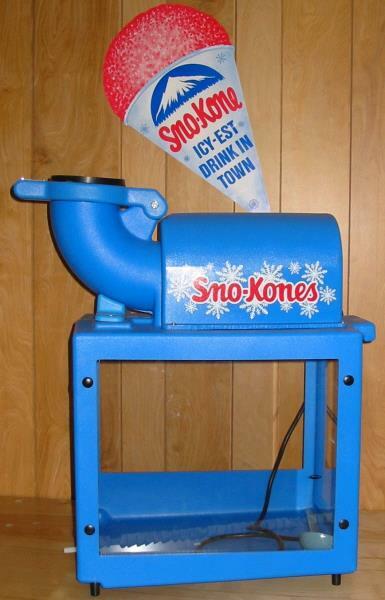 * Please call us for any questions on our sno cone machine igloo rentals in White Oak, Longview, Gilmer, Gladewater, Big Sandy, Kilgore, and all of East Texas.